Kaohsiung City (Chinese: ; pinyin: ; Pe?h-?e-j? : ; old names: Takao, Takow, Takau) is a special municipality in Taiwan. Located in southern-western Taiwan and facing the Taiwan Strait, it is by area the largest municipality, at 2,947.62 km2 (1,138.08 sq mi), and second most populous (by urban area) with a population of approximately 2.77 million. Since its start at 17th century, Kaohsiung has grown from a small trading village, into the political, economic, transportation, manufacturing, refining, shipbuilding, and industrial center of southern Taiwan. It is a global city with sufficiency as categorized by Globalization and World Cities Research Network in 2012. The Kaohsiung International Airport serving the city is the third largest airport in Taiwan. The Port of Kaohsiung is the largest harbor in Taiwan, but not officially part of Kaohsiung City. The southern terminal of the Freeway 1 is in Kaohsiung. For north-south travel on railway, the city is served by the Taiwan Railways Administration stations of TRA Western Line and Pingtung Line. The Taiwan High Speed Rail also provides fast and frequent railway connection to Taipei. The Kaohsiung Mass Rapid Transit, the citys subway system, launched in early 2008. Kaohsiung was the host city of the World Games 2009, a multi-sport event primarily composed of sports not featured in the Olympic Games. The city is also home to the Republic of China Navy fleet headquarters and academy. 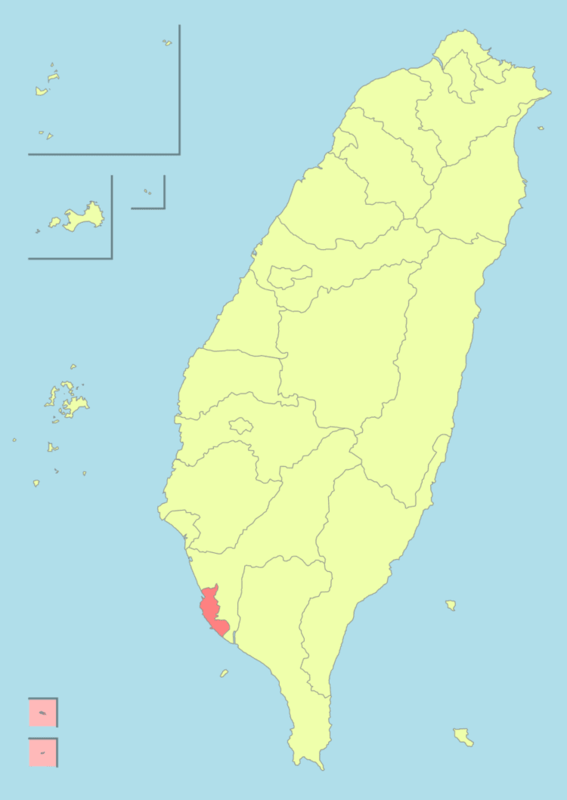 The city sits on the southwestern coast of Taiwan facing the Taiwan Strait, bordering Tainan City to the North, Chiayi and Nantou County to the North-west, Taitung County to its North-east and Pingtung County to the South and South-east. The downtown areas are centered on Kaohsiung Harbor with the island of Qijin on the other side of the harbor acting as a natural breakwater. The Love River (or Ai River) flows into the harbor through the Old City and downtown. Zuoying Military Harbor lies to the north of Kaohsiung Harbor and the city center. Kaohsiungs natural landmarks include the coral mountains Ape Hill, Shoushan and Mount Banping. Intensive settlement began in earnest in the late 17th century, when the place was known as Ki-au (??). Opened in 1863 as a treaty port, subsidiary to the port of Anping farther north on the coast, Kaohsiung became a customs station in 1864 and then gradually became an important port for the southern Taiwan coastal plain. Main landmarks of Kaohsiung city includes the Tuntex Sky Tower, the ferris wheel of the Kaohsiung Dream Mall, the Kaohsiung Arena and the Kaohsiung Harbor. 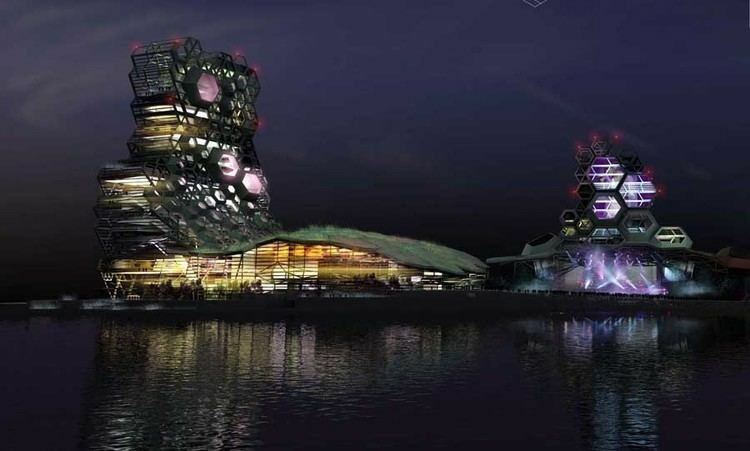 The newly developed city is also known for having a large number of shopping streets, organized night markets and newly developed leisure parks such as the Pier-2 Art Center or the E-DA Theme Park. Natural attractions of the city includes Shoushan (Monkey mountain), the Love River, Qijin, the bay of Xiziwan, the Dapingding Tropical Botanical Garden and the Yushan National Park at the northeastern tip of the city. The city also features various historical attractions such as the Old City of Zuoying, a historical town built during the early 17th century, the Former British Consulate at Takao built during the late 19th century or various sugar and crop factories built during the Japanese occupation of Taiwan. Kaohsiung city includes a wide range of different natural attractions due to its large size with geographical differences in different parts of the city, as it is bordered by the Central mountain range in the northeast and the warm South China Sea to the west and southwest. The year-round warm climate allows coral reefs to grow along the coasts around Kaohsiung harbor, with Shoushan mountain being a small mountain completely made up of coral reefs and calcium carbonate, while the mountainous districts in the northeast include one of the highest peaks in East Asia, Mount Yushan. Other notable natural attractions includes the Mount Banping, Lotus Lake and the Dongsha Atoll National Park, which is currently inaccessible by the public due to military occupation. A large number of historical sites and monuments were left in the city after the colonization of the Dutch in the 17th century, the Qing dynasty during the 18th and 19th century and the Japanese empire from the late 19th century to the mid 20th century, the city government has been protecting the various sites and monuments from further damage and large amounts of the historical monuments were opened to the public since the early 1980s. Notable historical sites includes the Former British Consulate at Takao, the Cemetery of Zhenghaijun and the Cihou Lighthouse, one of the oldest lighthouses of the city. As a rather newly developed city, comparing to its neighbor Tainan, Kaohsiung city is endowed with some of the widest roads in the country and the most organized usage of space, since the development of the city mostly occurred during the Japanese occupation of Taiwan. The large space therefore enabled the new government to build large amounts of museums of all sorts, from astronomy to history, art, and science and technology. This is a stark contrast to Kaohsiung citys northern neighbor Tainan, as Tainan city features some of the narrowest roads and least modern architecture in the country although it is considered as one of the five special municipalities of Taiwan, due to Tainan citys long history which therefore fixed the shape of the city centre. Popular museums in the city includes the Kaohsiung Museum of Fine Arts, Taiwan Sugar Museum, Kaohsiung Museum of History and the Meinong Hakka Culture Museum. 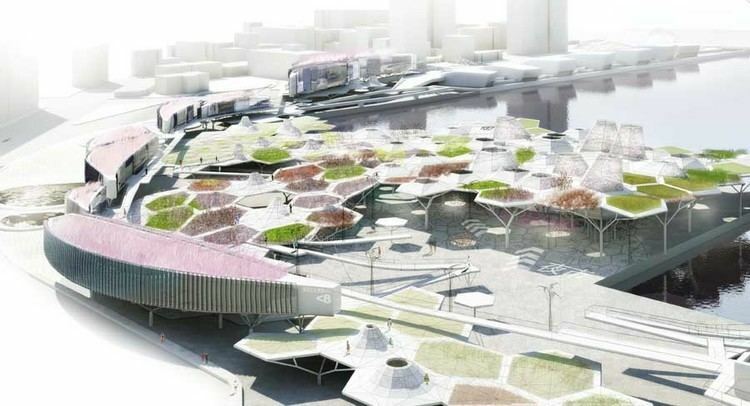 As the largest municipality in Taiwan, Kaohsiung has a number of mostly newly built leisure areas/parks. This includes parks, zoos, pavilions and a number of wharfs and piers. Notable parks or pavilions in the city includes the Central Park of Kaohsiung, Fo Guang Shan, the Dragon and Tiger Pagodas, the Love Pier, Singuang Ferry Wharf and the Kaohsiung Fishermans Wharf. Kaohsiung is well known of having numerous amounts of large and organized night markets, such as the Liuhe Night Market and Ruifeng Night Market, as well as having the biggest night market in Taiwan, the Kaisyuan Night Market which opened in late 2013. Other attractions includes the Dome of Light of Kaohsiung MRTs Formosa Boulevard Station, the Kaohsiung Mosque and the Tower of Light of Sanmin District.